The Governor of Ekiti State, Ayodele Fayose, has said that he won't leave the Peoples Democratic Party for the All Progressives Congress, advising the ruling party to bury the notion. “APC my foot ! I will never have anything to do with APC. 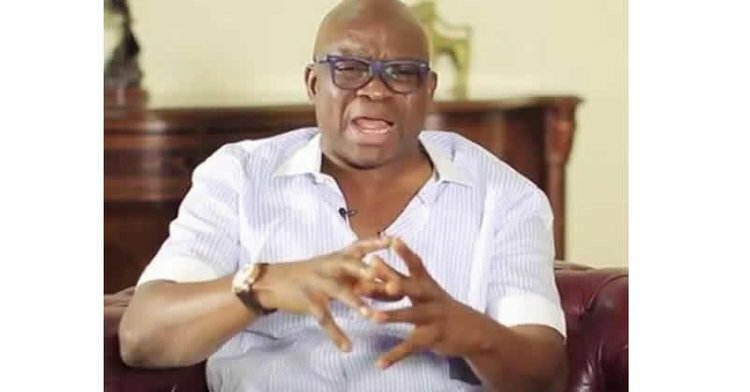 “ For the party's leaders to be saying that Fayose is coming to APC amounts to unnecessary dissipation of energy. “ I will never, ever, go to APC and will never ever have anything to do with the party , ” he vowed.